December known as ‘silly season’ aptly or not, is a month of merry-making with holidayers dotting different places around the globe. Children and equally elders too, joyfully look forward to the prospect of school-closing followed by festival-booms and the most eagerly expected New Year. They tire themselves out with routine partying extending to midnight on the 31st December. They are overwhelmed too receiving gifts galore. And finally the New Year peeps in. At the stroke of midnight bells, unperceived by many in the din and bustle of all the hullabaloo and unmindful of the karmic effects that this same New Year is going to thrust upon. Year by year may pass; none can escape from the karma–phala – the fruits of action. So the old saying ‘as you sow, so you reap’ stares at the face as time rolls on. The moments of despair gnaw each one of us. Fortunate are those who are brought under the gracious umbrella of divine personalities. They are made to realise what is the ultimate purpose of life that meanders sans any meaning. 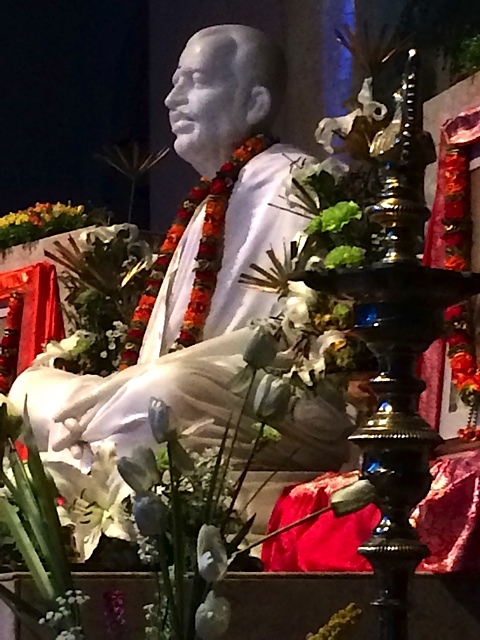 In Ramakrishna tradition, the beginning of the New Year brings in a new awareness of our goal. The moving incident that happened on the 1st of January in the life of Sri Ramakrishna is still a beacon light to all his followers over the globe. That day, every year is called Kalpataru Day. The message of Master on that day was “may you all be illumined”. He was undergoing treatment for throat cancer. He came down the stairs on the 1st January, 1886 and started moving in the lawns. Many devotees had assembled there. They bowed down to Master. How and when can this Kalpataru grace turn our own life towards progress in spiritual life? Undoubtedly, unconditional is the divine grace. Yet, in our heart of hearts, we do feel that without some sort of readiness to receive the grace, we make ourselves unfit for it. Why not we take a Resolution – a strong one at that – to attend satsang once in a week faithfully and uninterruptedly ? Let us begin with this one. Kasipur event reminds us to go beyond the physical episode and makes us deeply think about its spiritual implication. If this was valid on that day, it is still valid today. Very glad to see that you have started writing again. Hope the Kalpataru day went off very well. Mataji sent me her wishes and blessings. Yes, as I completed on 31st December 2013, the prescribed 3 months’ rest after the operation, I am back to normal activities. Yes, here is a short Report on the Kalpataru Festival held here. 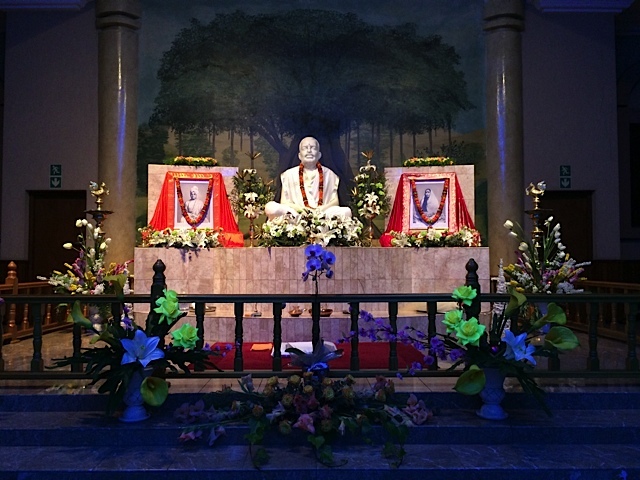 Swami Nirmalatmananda, the President and Spiritual Director of Ramakrishna Vedanta Ashram in São Paulo addressed a gathering of 600 devotees at the Glen Anil Ashram this morning. The occasion was Kalpataru festival. He explained that Kalpataru tree shall not give what one desires unless one is nearer to it and asks. So the concept of “nearer to” was elaborated by him as “feeling the presence” of Lord within. The day started with mangalarati, chanting of hymns and a satsang. Initiating the Discourses, Swami Vimokshananda thanked one and all for their prayers for his speedy recovery. Wishing others for welfare is a must in spiritual life. He quoted Swamiji saying that no curses came from the lips of our forefathers. Hence sending positive thoughts to all around helps in life. Master chose this day to give blessings to all those who were nearer to Him. Swami Saradaprabhananda spoke on the concept of “wish-fulfilling” and explained that celebration of this day gives us anchorage in spiritual life. I have taken that resolution towards the end of the year, and this article strengthened me to keep the resolution. It was so nice to see so many people on Kalpataru day. We are very lucky to listen to discourses from three powerful Swamis and so fortunate to get blessings from three Swamis. Happy to know that my post on Resolution has ‘strengthened’ to keep your Resolution! Yes, this blog can continue to remain, only if it does prove to be useful to the devotees. It is a rare occasion that brought three Swamis together on the Kalpataru day. Maharaj’s highlight in the article, to attend satsang every week undisturbed, is definitely a deed that one should prioritize. Article was read out to us, youth of Glencoe Satsang group, and expressions showed the awakening for positive responses in the future. Maharaj’s brilliant words of wisdom continue to reach far and wide and plays a positive part in strengthening one’s will power. Most welcome to this blog! I am glad that the post was read out to the youth of Glencoe Satsang group. At least one Resolution taken on the 1st of January, if it can be implemented, it would add to the determination and will power of the youth. The biggest drawback I find in some youth is this: they cannot keep up their own words. If this blog has been a stimulant, I am well rewarded.